New York City artist Cj Hendry has designed "a psych ward mimicked as a children's wonderland" for an art exhibit in Brooklyn's Dumbo neighbourhood. Called Rorschach, Hendry's project occupies a 3000-square-foot (279-square-metre) warehouse in the New York City borough. 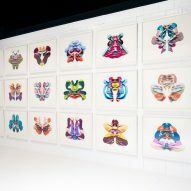 The showcase presents artworks she developed in reference to the Rorschach psychological test, which records and analyses a person's perception of inkblots. Drawing on this, Hendry designed the stark white space to evoke the aesthetic of insane asylums, with a playful touch. 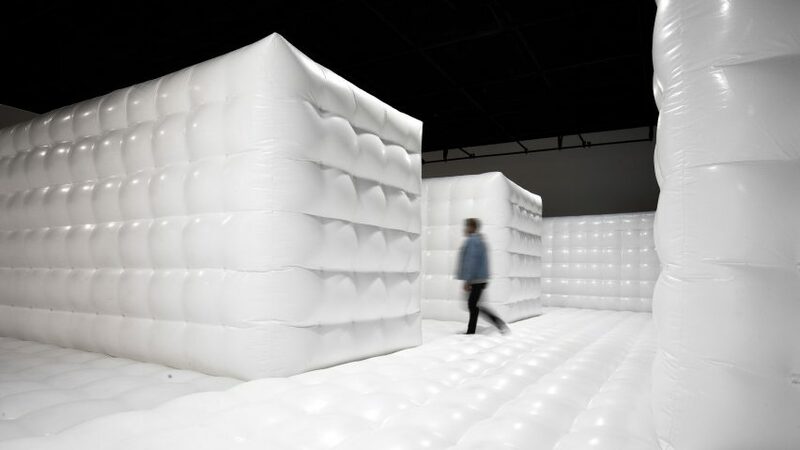 While the large inflatable looks like a children's bouncy castle, its padded white walls and floors also take cues from those found in psychiatric institutes. "It's actually far more psychological and sinister, and its showcased in a naive way but far more sinister in concept," Hendry told Dezeen at the Rorschach opening on 8 April 2019. 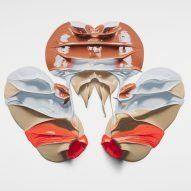 The inflatable is accompanied by colourful, hyper-real pencil drawings developed to also resemble squish art. 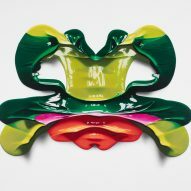 Popular with children, squish painting involves placing wet paint on one half of a piece of paper, folding it to cover it, and then unfolding it to reveal a symmetrical work of art. "It's a psych ward mimicked as a children's wonderland with squish paintings and bouncing castles," Hendry said. 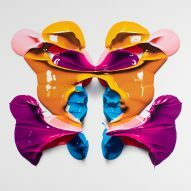 "I kind of mushed kid squish painting with Rorschach tests." In order to see the powerful visuals, one must first bounce the way there through the temporary inflatable. This playful touch, paired with the psychological moments, characterises the overall project. The bounce house was cut and sewn to fit the Dumbo space, using six blowers. It measures 14 feet (four metres) tall with various nooks and pillars inside, and can accommodate up to a 100 people at a time. To complete the psych ward experience, viewers are provided with a white wristband upon entering, as if they are admitted to the Rorschach Psychological Institute. For the unveiling, the invitation to the opening also framed as if it was hosted at the Rorschach gallery in Brooklyn. Neither the institute nor the gallery is a real place. "With some artworks, some people won't go and visit it because they have no reason or connection or to it, whereas this, I can force people to spend more time with my work," she said. 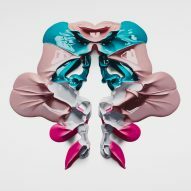 Hendry's Rorschach follows her similarly interactive 2018 installation, which featured colour-themed rooms. The exhibit was in Brooklyn's Greenpoint area and near her studio. The Australian-born artist has a knack for art that is experience-driven, thus garnering an impressive Instagram following. She also is known for her talent in making "hyper-real" art, including highly detailed sketches of boxing gloves. In 2017, she switched to colour, and only recently started creating abstract pieces. "The type of work I make is usually very hyper-real," she said. "It's usually very literal and very obvious," she concluded. "I've become so frustrated by it, if its a pair of boxing gloves, its a pair of boxing gloves. 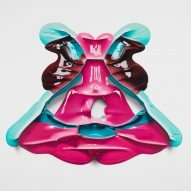 It can't be anything else, so I've been so fascinated by abstract work." 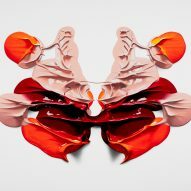 Rorschach by Cj Hendry is on show from 10 to 21 April 2019 at Plymouth Street in Downtown Brooklyn. Photography is by Cj Hendry Studio.